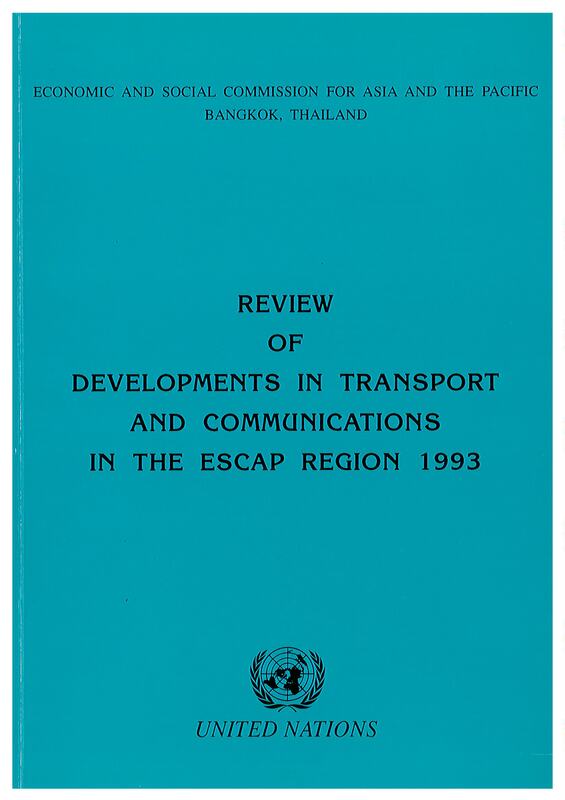 This review provides an account of recent trends of development in the regional transport and communications sector. Divided in three parts, the first part of the review contains an analysis of the economic, trade and population growth trends influencing the supply of infrastructure and the provision of services in all modes of transport and telecommunications. It also outlines the major policy initiatives concerning regulation, operation and management and mitigation of the adverse impact of transport activities. The second part addresses recent trends in infrastructure expansion and enhancement, traffic growth, and productivity improvement of all the surface transport modes including urban public transport, railways, roads and the maritime sub-sectors. The third and last part addresses recent trends in the infrastructure expansion and enhancement, traffic growth and productivity improvement of the air transport, telecommunications and tourism sub-sectors.